“Bernie Traurig is an exceptionally talented and successful National/International rider and trainer who shares with us his system of riding and schooling horses. These high quality video presentations are brimming with straightforward instruction, excellent demonstrations, and insightful comments. They are a valuable resource for teachers, serious riders, and for a range of Educational Equestrian Programs. 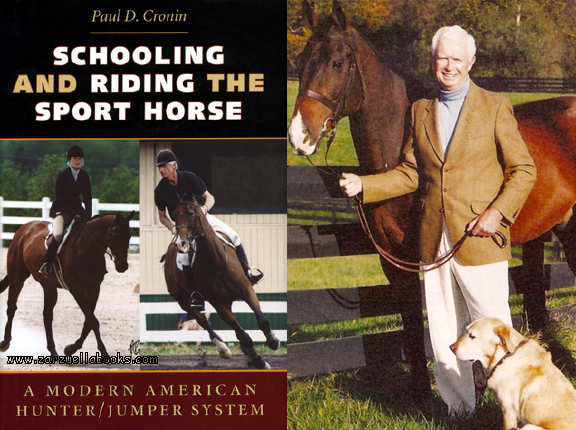 Based on the American Forward Riding System, EquestrianCoach.com is currently the most important contribution to college equine-education curricula in this 21st century. With his focus being toward a quality performance over jumps as the main objective in his flatwork schooling, Traurig shows us, step by step, the modern schooling of the horse to improve movement, balance, and agility. His riders illustrate correct position, based upon the stirrup, and effective aids on the flat, as well as over fences. To learn more about Paul Cronin, click here to view his bio. Want to hear some more? Click for our entire list of testimonials.